Within every culture, on every continent, throughout the history that is known and the pre-history that’s only slightly known, one of the most common of all mythologies has been the stories of Dragons. These stories are so common in these annals that it’s clear -- Dragons once existed in a time that’s been buried from any means of proving that they ever existed -- the mythologies that still remember and repeat these stories are true. This is the way it is with such things . . . only known to that which is unknown. In the East, the tales were of Dragons being sacred, and of taming and using these Dragons for the benefit of life. In the West, where the cultures were always more aggressive and barbaric, their mythologies were of slaying and conquering the Dragons for the safety of life. It’s important to understand the differences within these differences. In the East, the Dragon was understood as the representative of the five elements -- earth, water, fire, air and ether -- they were the earth in that they were physical; they were water with their webbed feet; they were fire with what they were breathing; they were air in that they could fly, and they were the ether because they were such mystical beings. The idea in the East has always been -- when you tame the five elements, you understand them, and then use them . . . Dragons, when you ride them, make for great transportation. In the West, where life has always been based in fear of survival and the unknown -- anything that was more powerful could never be tamed -- it was always needing to be conquered. That’s the nature of barbarism, and has always been. The name George was from the word ‘geo’ which means ‘Earth’ (the planet) . . . George was the Dragon slayer. The mystical threats of the Cosmos -- are not to be understood and used -- but are to be destroyed by the Earthly powers. What a waste of really good magic, and great transportation. 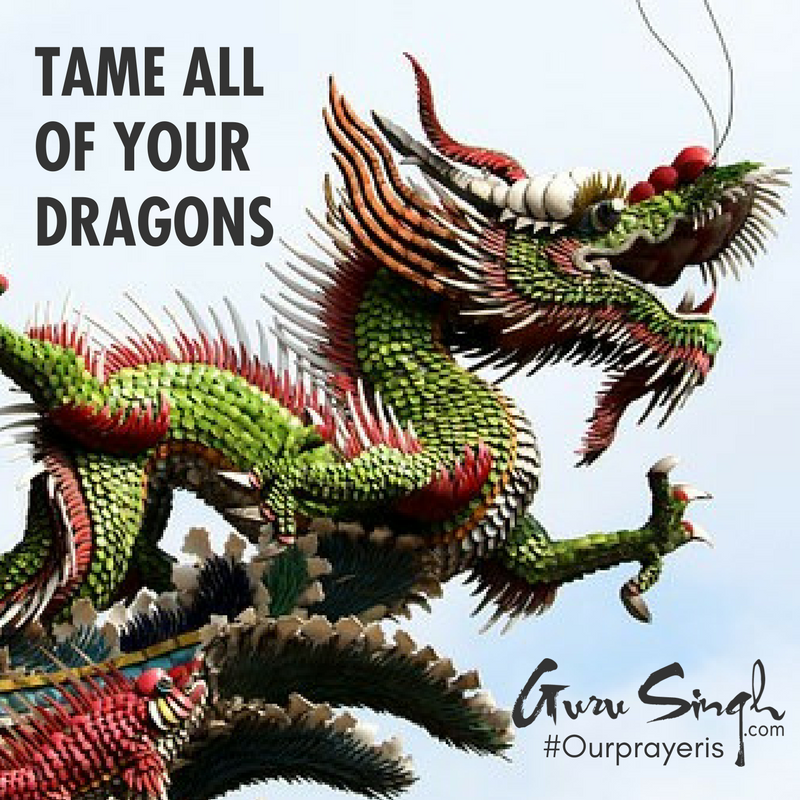 Our prayer is that you tame all of your Dragons; ride them with their magical powers throughout all of your dreams, and find them to be the greatest way to get from place to place, while connecting all your dots. Dragons will help with your greatest successes.